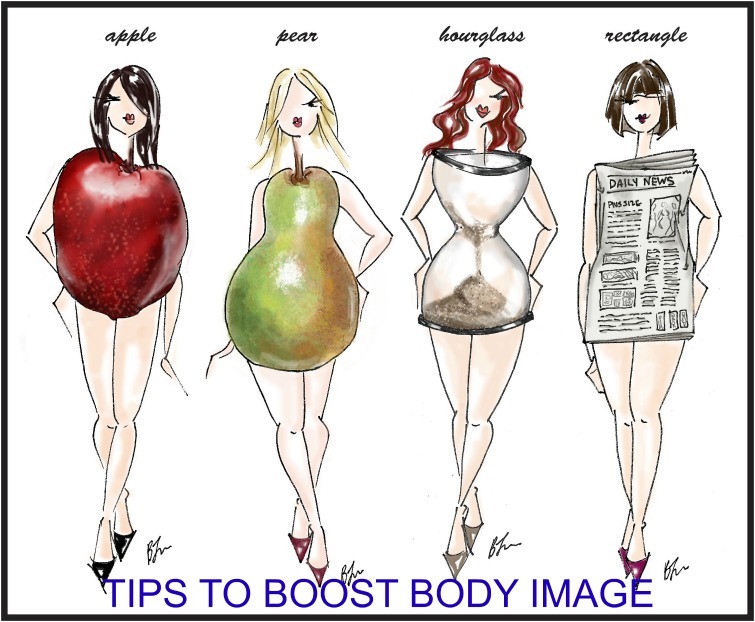 How To Boost Your Body Image - Welcome to SarahKesseli.com! Now that summer is upon us (or for most of us anyway) I have been hearing a lot of concerns from my clients about how they do not believe that they look good! Despite the many huge improvements I see in them, they can not seem to see the changes for themselves. This is always a topic of conversation throughout the year, but when swimsuit season arrives it becomes much more prominent. So today, I am going to share with you some tips that I have found successful for my clients in boosting their body image. Create a list of positive quotes that you can reference. For example, this article has a bunch of great ones! Fall in love with fitness! Find activities that you enjoy and do them! When you are involved in programs such as dance classes, kickboxing, weight lifting, etc you won’t dread them. Activities that make you happy take the focus off of your body image and direct it towards whatever fun activity you are involved in. Fuel your body right! When you eat healthy, nutritious foods you will automatically find that you feel better. Thus, making us feel better about how our bodies look. Stop comparing yourself to others. We are each different in our body types, likes/dislikes, lifestyles, etc. Be PROUD of who YOU are and what god gave you! Embrace it! You are unique and that makes you beautiful! Be thankful for what you have. Many times when I feel down on myself about how my legs look or something else, I will remind myself that I am thankful to have 2 legs. Many people are not as fortunate and have lost a leg, arm, hearing, eye sight, etc. Remind yourself of this! Create a list of things you love about yourself and hang it somewhere you can see every day! Surround yourself with people who lift you up and make you feel better about yourself! When our surroundings are positive, we automatically bring that positivity to the rest of our life! Find something that is greater than your body image! You are more than just a number on the scale! Take that negative energy and channel it into something that serves a purpose and creates a positive impact; Volunteer, learn to play the piano, walk an elderly neighbors dog. **This one seems to be the most difficult for most of my clients. If you find this hard to do, start with one part of your body and then slowly begin to add on each day/week until you are scanning your whole body. If you find that you are having a hard time with body image, please feel free to schedule a consult with me here so that we can create a plan to help YOU become body proud! *Have you ever had trouble with body image? *What strategies have you used to overcome body image? *Do you find any of the tips above helpful?